Tropical rainforests are ecosystems of rich biodiversity located near the equator, with densely growing plants and trees competing for light, nutrients and water. The rainforests are warm, humid, and wet, with annual rainfalls of 80 to more than 400 inches. They cover only 6 percent of Earth's land surface, yet these rainforests are extremely important. 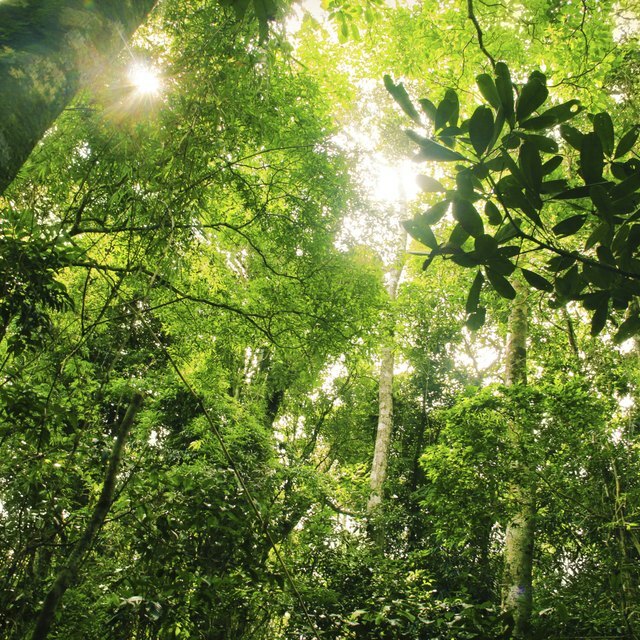 Tropical rainforest plants produce 40 percent of Earth's oxygen. 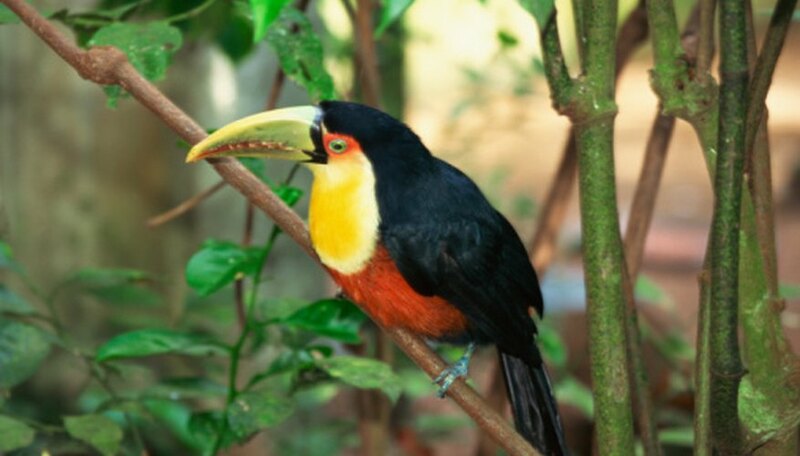 More than half of the world’s known animal species live in the tropical rainforests. Four main equatorial regions contain tropical rainforests. Each supports different animal species, despite all having approximately the same environmental conditions. The Amazon rainforest in Central and South America houses species such as the jaguar, poison arrow frog, anaconda, and sloth. In Africa, the Congo River Basin rainforest is habitat for endangered gorillas, chimpanzees and other monkeys. The island of Madagascar off the coast of Africa is home to the endogenous species of lemur. Southeast Asia, which includes India, China and Indonesia, is home to the critically endangered Siberian tiger, orangutans and many other animal species. Finally, the lesser known wet tropics region of Australia, northeast of Queensland, houses species not found anywhere else in the world, such as the tree and rat kangaroo, platypus and sugar glider. Animals found in the tropical rainforests are highly adapted for that particular climate and environment. They are commonly tree dwellers, are brightly colored and patterned, use loud vocalizations, and have diets consisting mainly of fruits. Within the rainforest there are four distinct layers of vegetation, each with different environments that support different species. Despite the tremendous diversity of these animals and their ability to successfully live in the rainforest, many are highly specialized for their environments and are endangered due to factors such as habitat loss, disease and poaching. For that reason, rainforests and their inhabitants need to be protected. 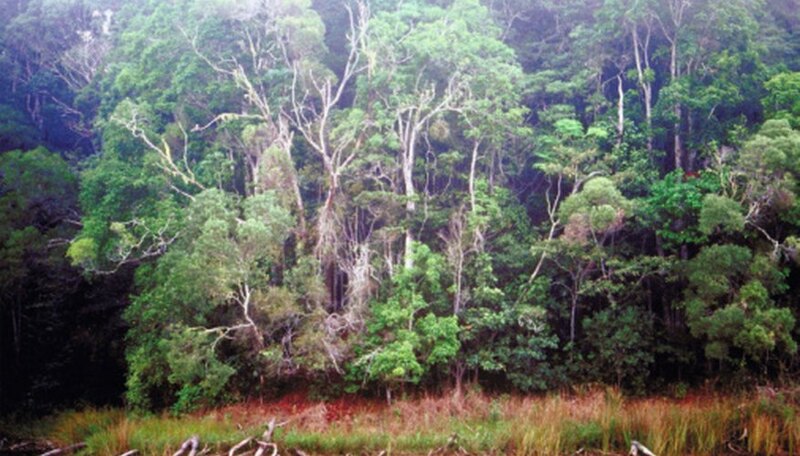 The emergent layer is the highest rainforest layer. It contains trees taller than the average canopy height, reaching upwards of 200 feet tall or more. This layer gets the most sunlight, less moisture and shade, and houses mainly flying animals such as insects, bats and birds. The canopy layer is the densest and most leafy layer, containing the majority of average-sized trees, trapping the rainforest's moisture below its umbrella. The canopy contains the largest diversity of rainforest animals such as insects, spiders, birds such as the toucan, mammals such as monkeys and sloths, and reptiles such as lizards and snakes, all because the food and water supply is plentiful in the canopy layer. The understory layer is beneath the leaves of the canopy but above the forest floor. It is a dark, moist, humid and cool environment, containing large-leafed shrubs and plants. The understory is home to many insect species and a few small species of mammals, birds, snakes and lizards that live on or in the tree trunks and bark and are adapted to the dark. These animals commonly end up being prey to the larger predators on the forest floor. Finally, the rainforest floor is dark, damp, and composed of decomposing vegetation, very poor soil quality, and few plants. 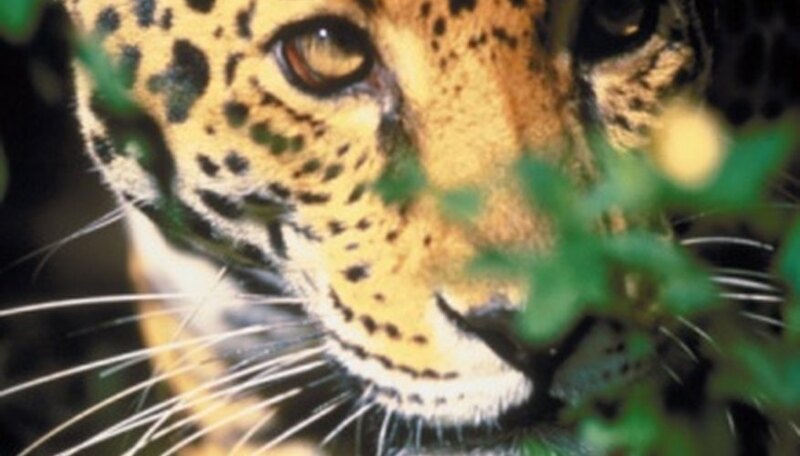 The floor houses many insects, arachnids and large mammals, including predators such as the jaguar, tiger or wild boar. The predators may perch on the lower branches of the understory layer to await their prey. Sarah Quinlan has experience writing for various websites on science, biology, veterinary science, health and medicine. For over seven years she has worked as a scientist in various biological fields where she has written and contributed to multiple manuscripts that have been published in scientific journals. Quinlan holds a bachelor's degree in zoology and a master's degree in forensic biology/chemistry. Quinlan, Sarah. "Animals That Are Found in a Tropical Rainforest." 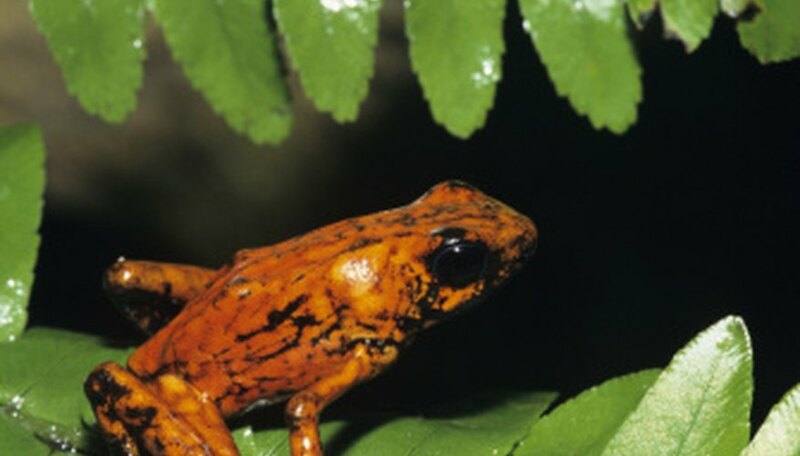 Sciencing, https://sciencing.com/animals-found-tropical-rainforest-8111349.html. 24 April 2017.